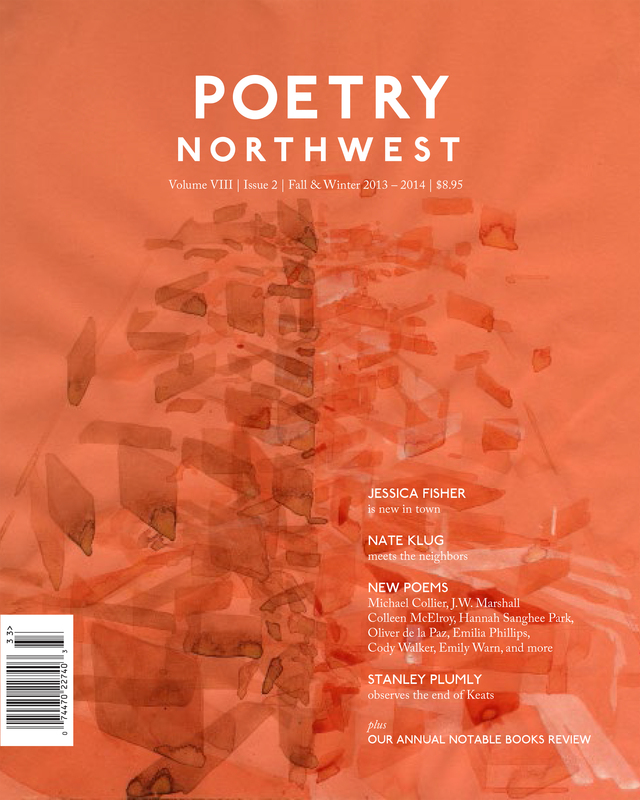 The Winter 2013-2014 issue is now available and burning up newsstands around the globe, with new poems by Michael Collier, Jessica Fisher, James Hoch, Nate Klug, Kate Lebo, J.W. Marshall, Suzanne Paola, Hannah Sanghee Park, Oliver de la Paz, Emilia Phillips, Cody Walker, Emily Warn, and many more. It includes our year-end round-up of Notable Books, with reviews of new books by Mary Szybist, Robert Wrigley, Nance Van Winckel, Rebecca Hoogs, Kate Lebo, and many others which appear here in our Book Review page, online. The stunning cover art is by Stephanie Pierce, with additional visual art inside by Emily Gherard, Holly Mattie, Cheryl Sorg, and Rich Lehl.